Do you watch TV when you can’t sleep? I do. I like to watch documentaries. Dinosaurs, earthquakes, ancient Rome, the pyramids, space…you get the picture (pun totally intended). One late summer night, my insomnia provided me with a fabulous gift: the world’s BEST name for a display fireworks business. After months of throwing around clever plays on words and acronyms, only to shoot them down (and poke fun at myself mercilessly for my lack of creativity), at long last, taking a few phonetic liberties, of course, Katatumbo Fireworks had a fitting name. 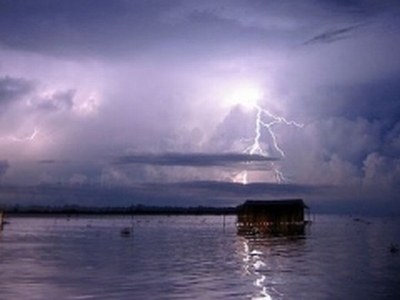 The Catatumbo Lightning is an atmospheric phenomenon in Venezuela. 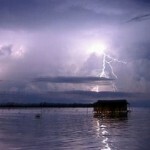 It occurs strictly in an area located over the mouth of the Catatumbo River where it empties into Lake Maracaibo. The storms (and associated lightning) are likely the result of the heavy winds blowing away from the Andes Mountains, which then collide with ionised gases – specifically the methane created by the decomposition of organic matter in the marshes. Being lighter than the incoming air, the gas rises up into the cloud layer, creating an electrical charge and a subsequent discharge which is seen as lightning. The phenomenon is easy to see from hundreds of miles away, i.e. from the lake (where no clouds usually occur at night) which is also known as the Lighthouse of Maracaibo, as the boats that sail the area can navigate at night without any problems at the time of sailing. The storms have an annual occurrence of 140 to 160 nights, each lasting up to 10 hours per night and each producing up to 280 strikes per hour.